Home » NLP School blog » Is it Responsible to Use NLP Techniques in Selling? In some circles, NLP has a bad reputation. 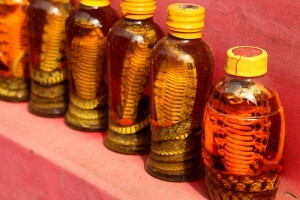 It has become associated with slick vendors of snake-oil, who have a bag of tricks they use on the unwary to sell them things they do not want or need. Naturally, I’m sorry this has come about – though this reputation is in a way a backhanded compliment to NLP, as it does show how well the techniques work. But how fair is it? To begin, it’s worth taking a look at the NLP techniques. The best-known NLP technique is rapport. If you’ve ever been sold to by someone who has copied your every gesture, then this person has been using NLP to attempt to create rapport. If, after about five minutes you either wanted to throttle them or started making ever more ludicrous gestures to get them to follow you, you have my sympathy. But used with subtlety, rapport techniques do bring about a closer bond between individuals. This is essential in coaching and therapy – but also in selling. Part of establishing rapport – missing in the overzealous imitator – is a genuine curiosity about others. This lies at the heart of the NLP mindset. In a rather Zen way, giving rein to ones’ natural curiosity and forgetting about sales can make you a better salesperson, as the more you know about a potential customer, the better placed you are to understand their real needs. NLP stresses the unconscious power of beliefs and values. These can be powerful tools. Sales people can choose to believe that prospects are intelligent, have good instincts and can ‘smell a rat’, or they can choose to believe that the prospect is stupid and easily manipulated. Prospects, in turn, will pick up these attitudes and react accordingly. The founders of NLP were very precise observers of language patterns and remarkably astute in noticing the implications of these patterns. This can be used to create unconscious rapport, but also to understand consciously how the other person sees the world. Particularly helpful to the salesperson is the concept of ‘metaprogrammes’, which sounds rather geeky but is actually a practical way of looking at how people attend to and handle information. Some of us like to think conceptually, others to concentrate on detail. Some people want to move towards goals, others away from undesirable states (most of us think we want both, but a brief examination shows that one preference usually predominates). Some people are convinced by others’ opinions; others keep the locus of proof within themselves… NLP teaches how you can spot where an individual lies on these continua, and how to adapt your wording accordingly. It’s essentia, because if you talk at them using the wrong metaprogramme, they won’t take much in. Objections can be met with reframing, moving the prospect away from a state where they are dominated by problems to one where they think in terms of successful solutions. NLP also teaches ways of psyching oneself up for a ‘big pitch’, not by ramping up aggression but by putting oneself in a calm, aware, ‘resourceful’ state. Giving a presentation? There’s a whole field of NLP dedicated to this topic. Rather darker are techniques like embedded commands, or the various hypnotic skills brought into the discipline by modelling the great hypnotherapist Milton Ericson. These can certainly be misused. Designed to bypass old, unhelpful thought patterns and to access the creative unconscious, they can instead be used to plant ideas in the mind. So, does NLP deserve its dodgy reputation as a tool for cynical salespeople? Maybe a little. At NLP School, we lay great stress on the ethical use of what we teach – but not every training outfit has the same approach. However, the world doesn’t divide into utterly scrupulous salespeople who only ever consider the client’s best interest, and out-and-out rogues, determined never ever to give a sucker an even break. Most of us, when we sell and genuinely like what we are selling, have been guilty of overselling sometimes. But not too often, hopefully. Perhaps the ultimate insight from NLP for salespeople – and we’re all salespeople at some times in our lives – is that we are responsible for our actions. For the serious practitioner of NLP, ethical selling should come naturally. Are you looking at ways that you could connect and establish rapport with your customers? Talk to us at NLP School and discover how we can help you with sales coaching methods and NLP techniques to engage with customers in a responsible way.